Amazon has various Fire TV boxes that stream video from the internet, but the Fire TV Recast is something new. This is a DVR tuner box for watching and saving video from OTA sources like Fox and NBC. However, the Recast doesn't have anything to do with displaying the video. For that, you need another piece of hardware. The $230 base model Fire TV Recast comes with 500GB of storage (enough for 75 hours) and two HDTV tuners. That means you can watch one channel while recording another or record two channels at the same time. The $270 upgraded model has double the storage and tuners. There are no video outputs on this box, so all setup and configuration happens via the Fire TV app or a connected Alexa device. For example, you could tell your Echo to record a show, and it would automatically program the Recast. You need one of several devices to watch video from the Recast. You can use a Fire TV device, of course, but Android and iOS devices with the Fire TV app will also do the trick. The Echo Show is supported as well. If using a mobile device, you can stream live or recorded TV anyplace. It's not clear if the Recast is smart enough to stream directly over your local network when you're at home, but I hope so. The Fire TV Recast is available for pre-order right now, and it'll ship on or around November 14th. SEATTLE--(BUSINESS WIRE)--Sep. 20, 2018-- (NASDAQ: AMZN)—Amazon today announced Fire TV Recast, a new companion DVR that lets you easily watch, record, and replay free over-the-air TV programming on Fire TV, Echo Show, and on compatible Fire tablet, iOS, and Android devices. Connect Fire TV Recast to a HDTV antenna (sold separately) for instant access to free over-the-air TV content available in your area, such as live shows, local news, sports, and more from channels like ABC, CBS, FOX, NBC, PBS, and The CW – all with no monthly fees. Place Fire TV Recast and a HDTV antenna anywhere in your home, and all of your compatible devices will automatically connect, giving you immediate access to local over-the-air TV programming. Available in two models, Fire TV Recast allows you to record up to four shows at once, and stream to any two compatible devices at a time. Advanced wireless technology automatically optimizes the use of bandwidth on your local network, delivering the best HD picture quality possible—even when streaming across multiple devices in a congested Wi-Fi environment. In addition, you can now take your over-the-air shows with you on-the-go. Use the all-new Fire TV companion app for Fire TV Recast to watch live and recorded content over Wi-Fi or when connected to a cellular network. Mobile streaming for Fire TV Recast is available on all compatible mobile devices with no extra monthly charges or subscription fees. When connected to a Fire TV streaming media player or a Fire TV Edition TV, your favorite live, recorded, and streaming content is all in one place. You can use the ‘On Now’ row to view what’s currently airing, or the Channel Guide and ‘DVR’ tab to search for live shows, manage recordings, and view up to two weeks of programming. Plus, live TV listings from Prime Video Channels and PlayStation Vue are integrated directly into your ‘On Now’ row and Channel Guide—right alongside your local over-the-air content. With Alexa on Fire TV or Echo Show, it’s easy to control Fire TV Recast with your voice and quickly get to the programs you want. Use your voice to change the channel, search for your favorite live TV shows, schedule, cancel, browse, delete recordings, and more – try “Alexa, open Channel Guide,” “Alexa, play ‘The Voice,’” “Alexa, show my recordings” or “Alexa, tune to NBC.” Plus, since the Alexa service is always getting smarter, Fire TV Recast is going to get even better over time. To set up Fire TV Recast you need a HDTV antenna and access to the Fire TV app on a compatible Fire tablet, iOS, or Android device. During setup, the Fire TV app helps you discover the place in your home with the best reception, and walks you through the channel scan process. Once Fire TV Recast is set up, you can watch, record, and replay live over-the-air TV on any Fire TV streaming media player, Fire TV Edition TV, Echo Show, or compatible Fire tablet, iOS or Android device. Fire TV Recast is available for pre-order in the United States beginning September 20 and will begin shipping on November 14. It is available in two models: a 2–tuner model with 500GB of storage that allows you to record up to 2 shows at once and holds up to 75 hours of HD programming for $229.99, and a 4–tuner model with 1TB of storage that allows you to record up to 4 shows at once and holds up to 150 hours of HD programming for $279.99. Fire TV Recast does not require any additional monthly charges or subscription fees. 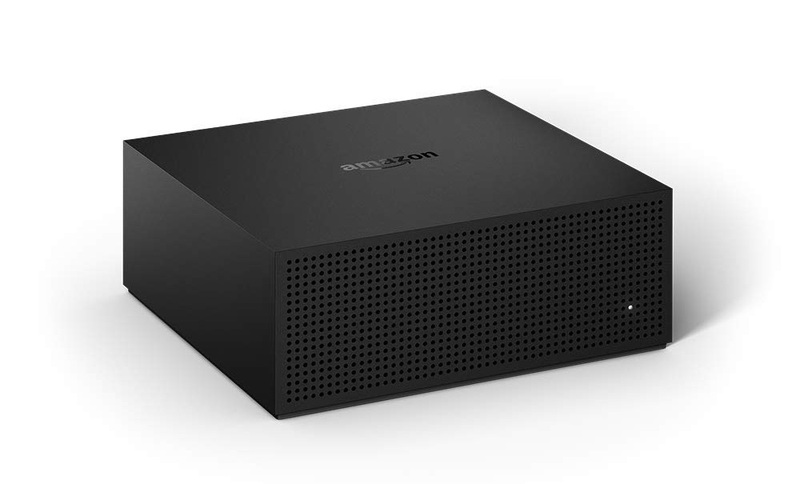 Coming soon, you will be able to expand the built-in storage of your Fire TV Recast by connecting an external hard drive to the USB port on the back of the device. For more information visit amazon.com/firetvrecast.